Dubai, UAE, 2018-Aug-21 — /Travel PR News/ — With the Eid Al Adha holidays just around the corner, it’s not too late to book your perfect getaway with Holidays by flydubai. 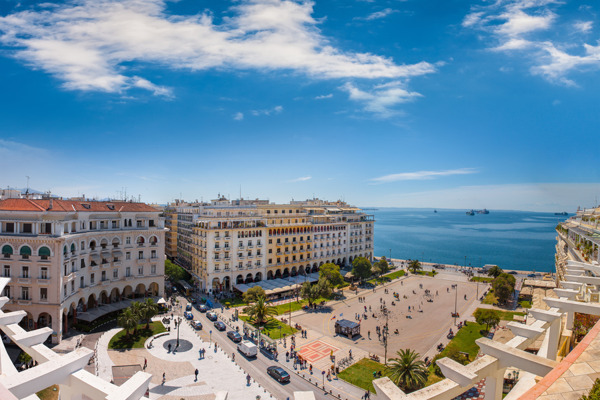 Thessaloniki is the second largest city in Greece, and provides a wonderful mix of old and new. With castles dating back to the Byzantine period, a popular waterfront packed with restaurants and cafes and wonderful sea views, there really is something for everyone. If you’re looking to chill out by the beach, head to the Halkidiki Peninsula where you’ll find nothing but white sandy beaches and clear blue water. On the western shores of the Caspian Sea, Baku is Azerbaijan’s capital which is developing at a rapid pace. It’s a great place to explore the old, the new and everything in-between, and promises great food, impressive architecture and a fascinating introduction to Azeri culture. Make sure to check out the beautiful parks and wonderful promenade while you are there. Tbilisi is a fascinating place to visit, complete with an old town full of narrow streets, fantastic mountain views, sulphur bath houses and great food. With no end of museums, parks, galleries and cafes, it’s easy to see why Georgia’s capital has been attracting visitors for years. Romania’s historic churches and monasteries complement its vibrant city life and pristine landscapes. Explore Bucharest’s old town, known as Lipscani, which is a great area filled with charming restaurants, trendy cafes and beautiful parks. For the more adventurous visitor, take the three-hour journey to the medieval region of Transylvania, home to the famous and mysterious Bran Castle. *All prices are per person, based on two people sharing a room and are inclusive of taxes. Terms & conditions apply. This entry was posted in Airlines, Flights, Holidays, Travel, Travelers, Vacations and tagged Eid, flydubai, Holidays. Bookmark the permalink.